Discussion in 'Developments in Amaravati' started by satish, Jun 5, 2015. Ever since the announcement of the capital region here, the Vijayawada Airport has been witnessing a surge in the passenger and aircraft traffic. Since the fiscal year 2014-15, the growth in the passenger traffic has doubled and Vijayawada-Hyderabad has remained the busiest passenger route throughout. Of late, the traffic between New Delhi and Amaravati has increased manifold and emerged as the second most frequented route pushing back the Bengaluru route. 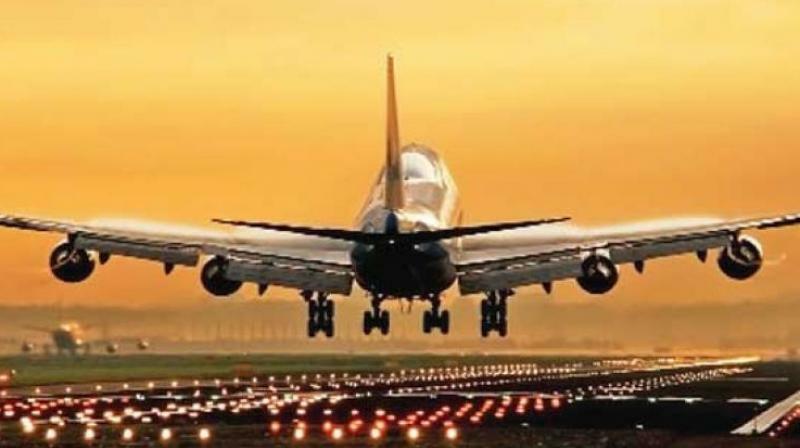 According to the Directorate General of Civil Aviation’s Domestic City Pair Traffic statistics, during the first nine months, 1.22 lakh passengers flew to New Delhi registering a growth of about 27% in comparison with the traffic during the corresponding period of 2016 which was 88,480 passengers. In 2016, the number of fliers to Delhi was only 1.23 lakh while it was 1.66 lakh to Bengaluru. Contrarily, the Bengaluru route which witnessed a traffic of 1.18 lakh between January and September last year, registered a downward trend. This year, during the same period, only 1.12 lakh fliers took the route. On the other hand, the city airport continued to share the highest number of fliers with Hyderabad with 1.76 lakh fliers taking the route until September. The movement of government officials, politicians and connecting flights to cities abroad has caused the traffic to Delhi increase since mid-2016 and the trend is only growing. The growth rate has also spurred an increase in the number of flight services. While 73,842 passengers flew to Chennai, it was 31,562 to Visakhapatnam until September. The overall growth rate at the Vijayawada Airport is slow. From April to September, only 14.55% traffic growth has been registered compared to the corresponding period last year. “Announcement of capital here has boosted the overall air traffic to the airport and the political movement between New Delhi and Amaravati has contributed to the increase,” said Vijayawada Airport director G. Madhusudhana Rao. “The night services of Air India to New Delhi turned most favourite for international fliers in the region. Most of them fly to various international destinations like the U.S. after reaching Delhi through the night service. Also the connecting flight to the U.S. helped many youth going abroad for education,” said R. Sandeep, representative of a travel agency. The city airport has flight services to Hyderabad, Chennai, Bengaluru, Puducherry, Tirupati and Visakapatnam. Vice-President M. Venkaiah Naidu flagged off the first Indigo flight from Vijayawada airport to Singapore on Tuesday. Vijayawada: A cross section of the society welcomed the start of direct flights to Singapore from Vijayawada city. Shortly afterwards, the Vice-President said that there was vast scope for air cargo services from Vijayawada airport as surrounding regions are agri rich regions. He said Nuzvid mango and other agricultural products could be exported to global markets directly from the airport providing value addition to the produce of farmers. V. Saradhi, B. Srinivas and others said that the direct flight service will help students desirous of pursuing higher education in Singapore. They said that direct international flights from Vijayawada to other countries was needed as students in large numbers go to the USA, England, Germany and other countries for higher studies. Indigo chief commercial officer William Bowlder said that Singapore flight was the first international service from Vijayawada airport. He said that presently, the service is available twice a week and, with the cooperation of state government, Indigo will increase the frequency.